From bike shows to poker runs, Bikes Blues and BBQ is a rockin’ event. See some of the best, most tricked out custom choppers go head to head in a bike show competition like no other. Ride 2 of the most unique Poker Runs in the Ozarks and get ready for a chance to win BIG. Ride in the largest motorcycle parade in Arkansas. 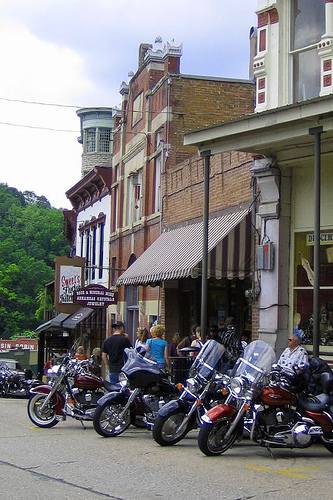 While you are in the area, take a ride to Eureka Springs and find out why it has earned the title “Bike Capital of the Ozarks.” Eureka loves motorcycles. Find a motorcycle friendly hotels. Discover the best places to stay, eat, and play. Listen to Chubby Carrier and the Bayou Swamp Band, the Nace Brothers and more. Road house country to the Blues, Bikes Blues and BBQ has nonstop music planned for September…and admission is free to many acts. If you like live music, take a trip to Eureka Springs. Listen to live music for free in Basin Spring Park during the weekends and check out the Aud and Eureka Springs Calendar of Events for upcoming shows. Dozens of BBQ teams from all over the country are competing in this year’s BBQ contest. Eat BBQ and make your way around the beer garden while you listen to great music. Stretch your legs and your vacation. Add on a trip to explore the area with a ride to Eureka Springs. 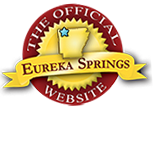 Get a FREE guide to Eureka Springs rides or consider following the Arkansas Art Trail for routes and cultural attractions in North Arkansas. This entry was posted on October 24, 2012 by estcblog in Basin Park Hotel, Festivals, Fun Downtown, Motorcycle Friendly Lodging, Motorcycle Maps, Road trips, The Great Outdoors, Things to Do.